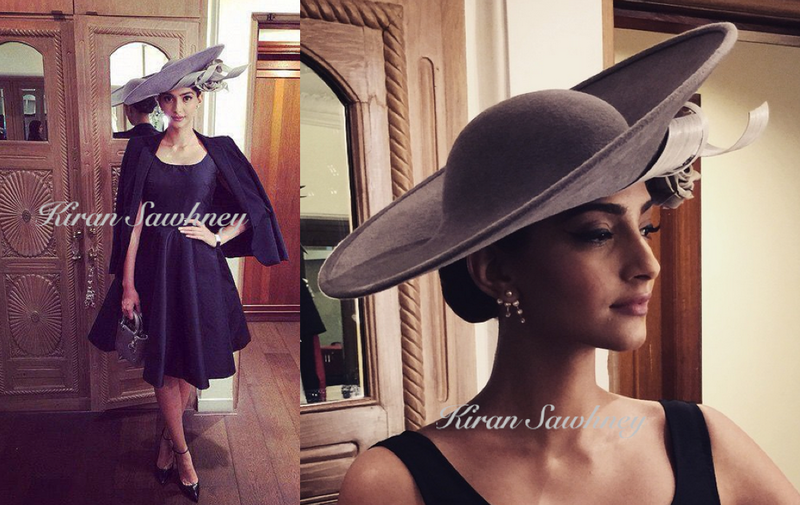 Sonam Kapoor at mid day Derby wearing hat by Philip Treacy, dress by Neha Taneja and shoes, earrings and bag by Dior. We have no words to express. We are speechless, breathless, thoughtless. Mind blowing. WOW! !